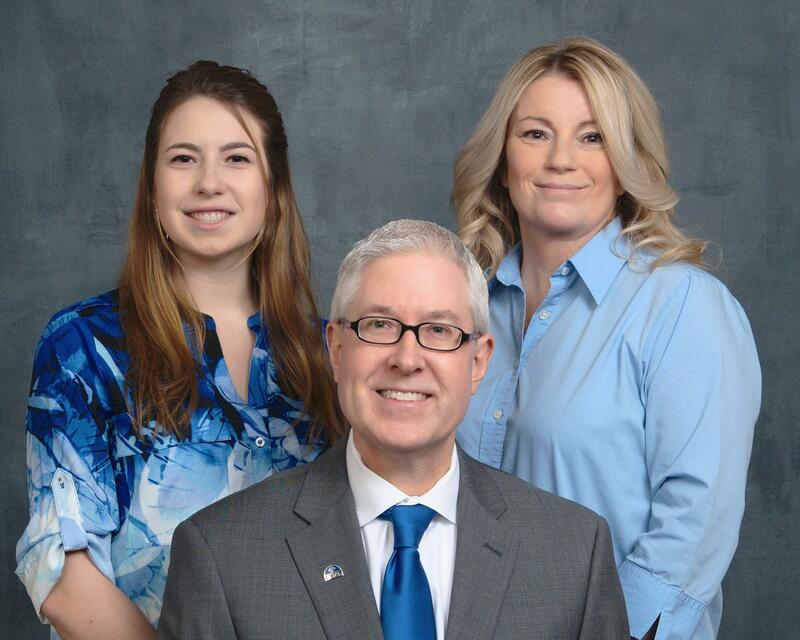 The people who work at Fedor Financial Group, LLC, not only have the knowledge and experience to help you pursue your financial goals but also are dedicated to helping you reach those goals. David has experience working in the financial services industry dating back to his time at MassMutual in 1990. We are always ready to address your concerns, answer your questions, and put you at ease. David E. Fedor is the CEO of Fedor Financial Group, LLC, located in West Springfield, Massachusetts. His mission is to help his clients afford the retirement they deserve. He specializes in helping them to not outlive their money. He does this by creating and implementing risk-reduction strategies using investments and insurance products. His practice is primarily fee-based. This means that the success of Fedor Financial Group, LLC, is directly tied to its clients’ financial success. David grew up locally, in Easthampton, Massachusetts. He was the youngest child of Eddie and Florence Fedor, who were both the children of Polish immigrants. Since the age of 10, David spent his summer vacations working at his father’s new car dealership, working his way up from wash boy to general manager. David credits his father for teaching him many life lessons about saving and investing money for the long haul. David graduated from Bentley University in 1989, majoring in economics and finance. He began his investment career more than 24 years ago, working as an analyst at MassMutual in Springfield, Massachusetts. He worked there for three years until he met a young woman who was working for John Hancock Financial Services at the time. She recruited him to work with her and she made such an impression on him that they were married a few years later. While at John Hancock, David became the business and estate planning specialist for the office. In 1996, David joined Fleet Bank as an investment specialist and worked there through three mergers until opening his own financial planning firm in May 2010. The subprime mortgage crisis of 2009 had a profound effect on David. He saw the nation’s largest banking institutions crumbling and taking bailouts from the government. He thought that they had lost sight of what was important—taking care of their customers rather than focusing on being the biggest or most profitable. In 2010, David decided to leave the security blanket of corporate America in exchange for the ability to affiliate with an independent broker/dealer. At that time, he founded Fedor Financial Group, LLC. He wanted to work in an environment where the sole focus was on clients rather than on profits or market share. Early on, David made the business decision to keep his practice small so that he could give his clients an outstanding level of service. As an independent financial advisor, David is able to serve his clients better than when he worked for the bank because now he no longer needs to focus on the needs of both his employer and his clients; instead, he can focus independently on his clients. Although David is an independent financial advisor, he does not work alone. David chose to affiliate Fedor Financial Group with Commonwealth Financial Network® because of the depth and breadth of its team of financial planning and investment professionals. Commonwealth also provides state-of-the-art investment tools and planning resources for David to use with his clients. In order to better assist his clients with helping to ensure that they do not outlive their money, David decided to become a CERTIFIED FINANCIAL PLANNER™ practitioner. This certification, which he received in 2007, is offered by the Certified Financial Planners Board of Standards Inc. It required about a year of study and, at the end, passing a 10-hour/2-day exam. In 2009, he received the additional industry designation of Chartered Retirement Planning Counselor from the College for Financial Planning. He has been an active member of the Estate Planning Council of Hampden County since 2008. David holds his FINRA Series 6, 63, and 7 securities registrations through Commonwealth. He also holds life, accident, and health insurance licenses. David joined the Western Mass Eldercare Professional Association in 2013 in order to stay current on issues facing the elderly. David lives in Agawam with his wife, Janice, a college professor, and their three daughters. David is a believer in the healing power of meditation and practices mindful awareness regularly. In his spare time, David loves to kayak, mountain bike, play tennis with his daughters, and work around the house. David is proud to have been recognized as a Winner's Circle advisor for 2011 and 2012, a distinction attained by just 10 percent of advisors affiliated with Commonwealth. In 2013, he achieved a new, higher distinction with Commonwealth known as the Summit Club. * This award was bestowed on the top 6 percent of all Commonwealth advisors. *Based on a ranking of annual production. David Fedor is proud to have been recognized as a Business Experience advisor for 2016—a distinction based on annual production that places him among the top 49 percent of advisors affiliated with Commonwealth Financial Network. Tammy Gentile is the assistant at Fedor Financial Group. She enjoys the sunshine, being a mother to her twins, attending Boston Red Sox games, and helping people. Lauren Fedor is the personal assistant to David. She assists him in running the office efficiently. Lauren enjoys playing tennis, swimming, and is a marketing major at Bryant University.